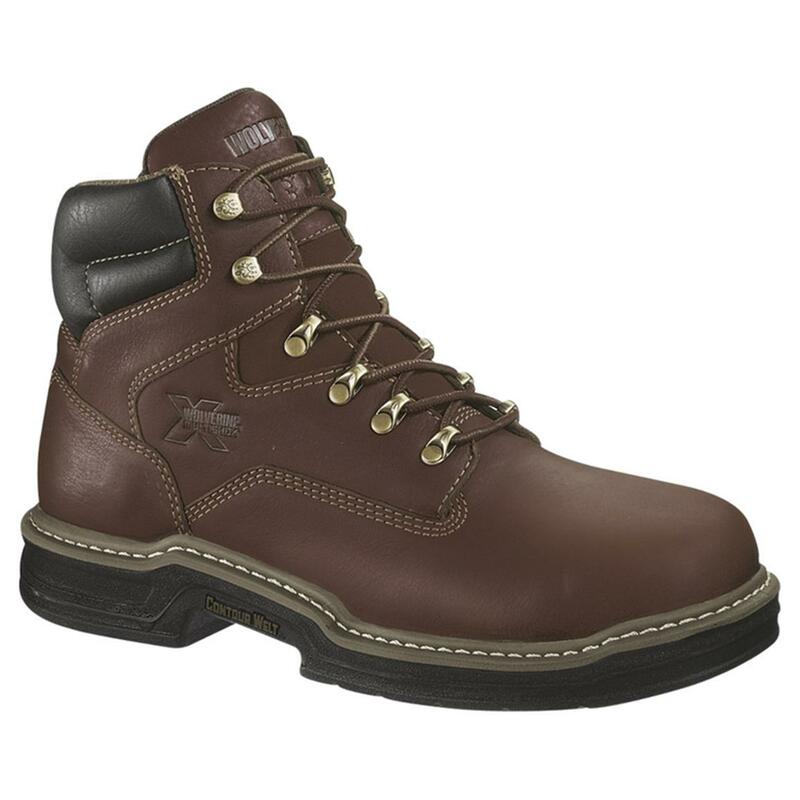 Wolverine® 6" MultiShox® Contour Welt® WATERPROOF Steel Toe Met Guard Work Boots. Extreme protection and comfort to start your day... and end it just as smoothly! Take a ride with the folks at Wolverine® and you won't be sorry. Shock-absorbing, foot-cushioning Wolverine MultiShox® technology combines with the support of Wolverine Contour Welt® construction. An amazing development in a long line of work-wear breakthroughs, thanks to 125 years of business in the field. Get your pair here and never look back! Each approx. 6" h., 24 ozs. State Size and Width, as available in the Shopping Cart. Mens Wolverine 6 MultiShox Contour Welt Waterproof Steel Toe Met Guard Work Boots, Brown is rated 5.0 out of 5 by 1. Rated 5 out of 5 by Solo from Excellent Value I have had no luck with "glued" boots. I spend a lot of time on ladders and my knees and they always failed. Bought my first pair of these "sewn" boots in desperation. WOW- Perfect fit right out of the box- I wear a triple wide and have had a hard time finding a true 3E. These are perfect. I own a pair of these 6 inch steel toe and a pair of 8 inch regular toe for ankle support. 1 1/2 years and they are like gloves on my feet. Soles are holding and no edge wear on sides. Was in 4 in of water most of today and feet are dry. I do keep them clean and apply water repellent often so that helps. Paid much more than this so at this price you can't go wrong. I don't need another pair right now but at this price- I am ordering anyway. Carhartt Men's Made In The USA Waterproof 6"